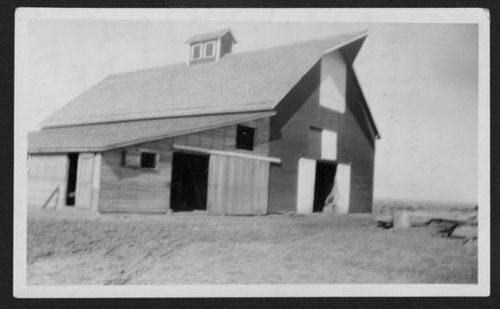 This is a photograph of a large barn located three and a half miles southwest of Glasco, Kansas. It was built between 1914 and 1915. The west side was added between 1922 and 1923 for cattle. On the west side were pens for calves and feed boxes. On the east side was a milking area and feed stalls.